As our leadership model was being built, the question “Where does personal development start?” was deeply discussed. We wanted to know what base beliefs unleash personal development. Our self-evaluation concluded that our (the Sr. Leaders) own development started when we were vulnerable enough to get real and see our own uniqueness – all of our strengths and weaknesses. It seems this was also the time when we realized we need people around us, and the more diverse and complementary they are to our own skills, the better. For these reasons, it is essential that personal development start with personal discovery; and it is therefore the centerpiece of EIL 1. Get in touch with “you” and figure out how that uniqueness will work in the world around you. After that important (and sometimes painful) step, you are free to always be looking at how to be better, interact better, and better impact others. This comes from feedback, whether offered by others or sought out by you, and is the mirror by which to truly see your own performance and impact. Listen carefully and remember that those offering feedback are taking a chance. How you respond to the feedback will dramatically affect how much more information you will get from that person or small group. After achieving awareness and accepting feedback comes the step of choosing. There will always be more things to work on than we can actually focus on. After inventorying the options, use your intuition and trusted partner feedback to decide what you should choose to work on. What will impact others and yourself the most? What seems to be the next step in the journey? Do not wait for others to develop you. It is a clear differentiator of leaders that they drive their own development and “pull” what they need to succeed in developing themselves. Often this development will not be due to “training.” Although training is helpful for certain skill building, it is not the essence of personal development. I would encourage you to keep your list of things to work on very short and amp up the intentionality. Meeting a single goal with an intense focus can have a dramatic effect on your progress. If your list is more than one task, don’t let it grow past three at one time. It simply dilutes your attention. Never forget that working to leverage your strengths is always more powerful than trying to shore up your weaknesses. For those areas where you struggle, think mitigation. Think about whom to bring around you and complement you. Think about using the team. You can’t turn an orange into a grapefruit no matter how hard you focus on it. The last phase is the sustaining part of development. Remain curious. Reach into the world and see what others are doing and using. Connect some unconventional dots of your own and wonder, what could that mean to me or my team? This leads to the most powerful kind of learning and growth. This is a lifetime effort; it must be part of us as leaders – especially at Interstates. As we live out our core “Why” ideas, “Pursuing a better way” requires us to be curious, to be open, to learn, and to develop new skills as the challenges of the world unfold. Personal development is an important piece of leading at Interstates and in the rest of the world. I expect it to be even more so as the world around us changes faster and faster. 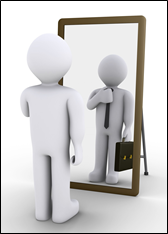 What people see in you, and how you are leading your own development, inspires them. Share, be transparent, and challenge others to continually seek to be better.